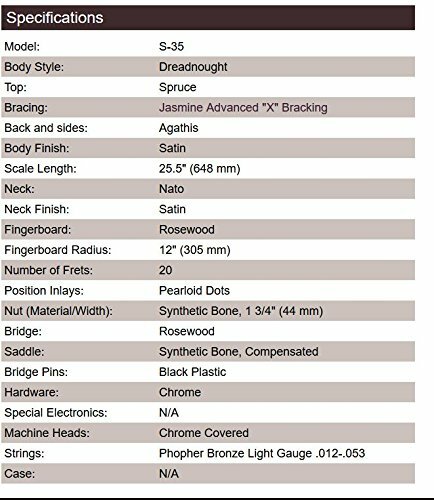 Jasmine S35 Acoustic Natural is another star come frome big name like Jasmine. The Guitar's quality is great which companied by its reasonalbe price and that makes an incredible deal for you"
Being an only child I had no one to spend my time with at home. Hence, music was my run to when I feel alone and bored. I spent most of my time learning how to play various musical instruments such as drums, flute, and my favourite the guitar. I have to admit, I became pretty good at playing the guitar. I remember my first one was a Martin DX1. Together with that guitar I was able to perform in different gigs in our locality. That bad boy also made me famous among the women, true story. Sadly, we had to part ways. Years of playing sweet music with my trustworthy guitar had weakened it until one day the neck just broke. I’m going to miss that guy, but as they say, all good things must come to an end. I tried to look for the exact same model in my local guitar shop; sadly, they say that they no longer sell that model. 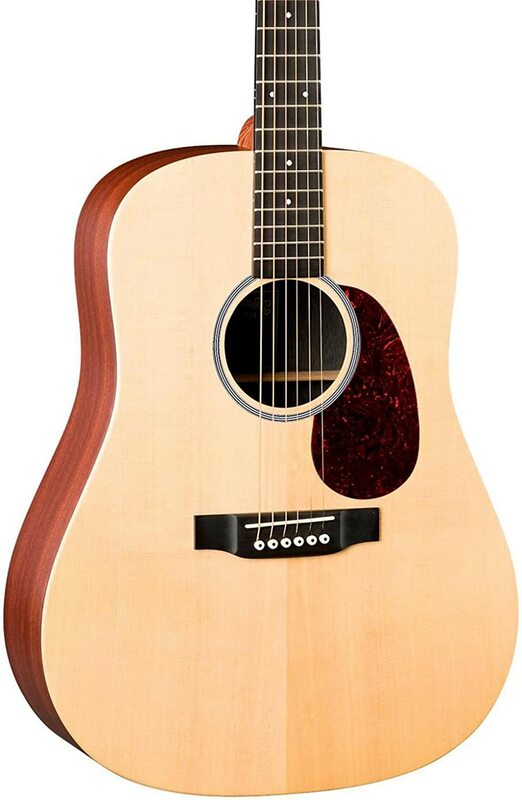 Hence, I decided to give the Jasmine S35 Acoustic Guitar from Amazon. So here is my personal review of the S35. I ordered the guitar early May last year, to my surprise, the package arrived earlier than expected. I received my new guitar just a week after I order it from Amazon.com. This is honestly one of the fastest delivery times that I have experienced from an online store. Upon receipt of my new guitar, I immediately took notice of the hard casing that came free with the guitar. The hard casing is one of my favourite things about the Jasmine S35. Unlike other guitars that came with cloth, zippered casing, the one that came with the S35 was hard and professional looking. Whenever I use the guitar case, I felt sure that my new guitar won’t be damaged while I’m travelling. The best part about it was it was free! For something that professional looking, I couldn’t believe that it was free. Another freebie that I got when I bought my guitar was the guitar stand. It was a regular guitar stand so I can’t really say much about it, except that I got it for free. It gave me a place to display my guitar when I was not playing it; however, there was an instance that the guitar fell. It might have been due to an imbalance in the legs of the stand, nevertheless, after a few adjustments, it never happened again. Another thing that I like about the Jasmine S35 was the shape of its body. The shape of the top and bottom curvature of the guitar made it easier and more comfortable for me when using the guitar. I am also able to rest my arm on the guitar with the uncomfortable sharp edges at the bottom of the guitar. Regarding the string spacing of the guitar, having fingers that are wider than usual, I had a little bit of trouble having to adjust so that I do not accidentally press the wrong strings. I had to play a few times before I was finally able to play without such errors, but I was able to adjust eventually. 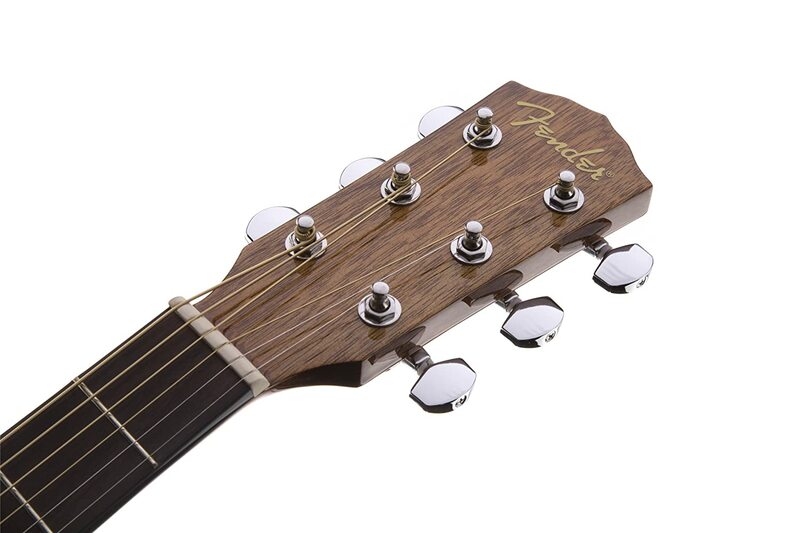 When playing the Jasmine S35, I noticed that the sound coming from the guitar was louder than my previous Martin DX1. This was a big plus for me since I loved playing in front of a crowd. It played loudly without compromising the smoothness of the notes that were coming from it. Lastly, the guitar emitted a rounder sound than usual. Hence, I was able to play songs with more clarity without any unintended vibrations. This was problem for me in other non-professional guitars. Sadly, the loud sound of the guitar also gave me a small problem. Whenever, I stay in a friend’s apartment, I wasn’t allowed to play the guitar in fear of disturbing the neighbours. However, I find the guitar’s loud volume more of a pro than of a con. 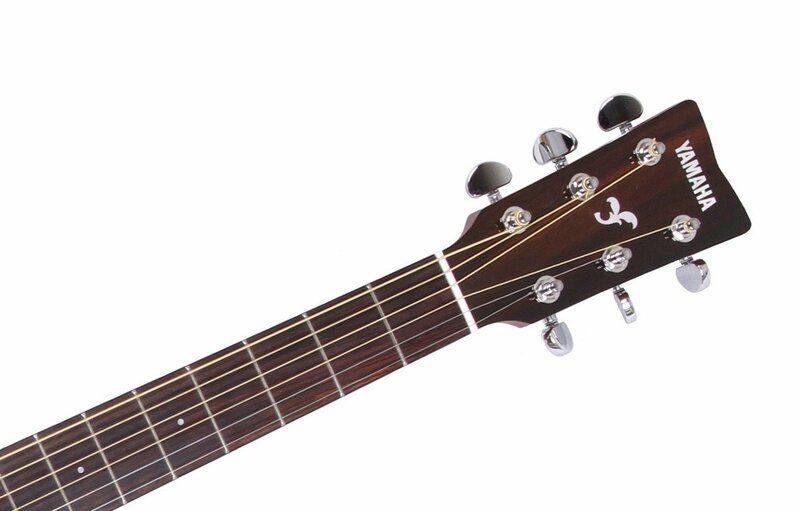 Overall, the Jasmine S35 Acoustic guitar is one of the best guitars that I had ever had. IT has a great sound and I love the hard case guitar that came with it. 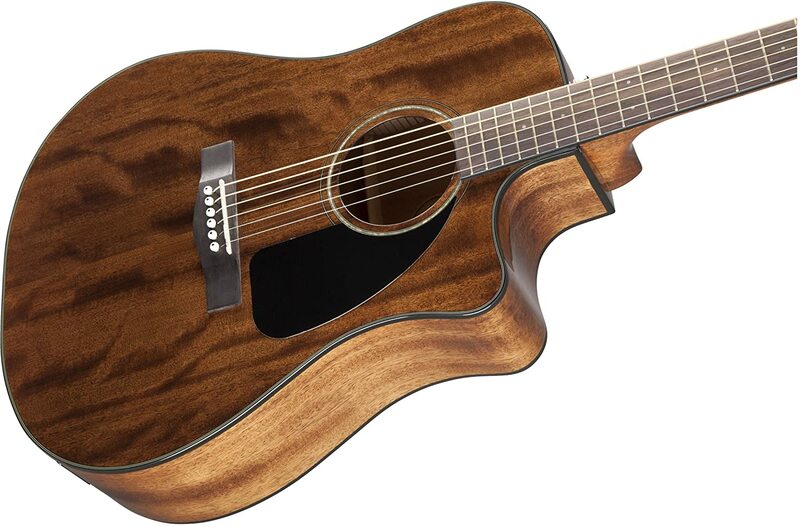 I can honestly say that it was better than my previous Martin DX1 guitar. For most musicians, music is life. Melody and harmony in sounds is usually the source of life and motivation. What happens when you see inspiration while on the go, but you don’t have your music companion with you? It could be frustrating sometimes, it’s like having a eureka moment without a pen and paper to write it on. However, there’s a washburn acoustic guitar that’s perfect for carrying around. It’s the Washburn RO10 rover string travel acoustic guitar: this is a 24inch guitar, that’s precisely the length of 2 rulers. As one can imagine, it’s definitely not a hassle to carry around. From hereon, we will discuss this guitar’s highlights, features, and pros and cons. If you’re a free soul that wants to travel or you’re someone who’s usually on the go but doesn’t want to lose touch with music, or if you’re simply looking for a guitar that’s light and portable, you’re in the right place! What this guitar is mainly made for is primarily being portable. At 24 inches and weighing at 2.4 pounds. That’s the weight of a laptop at your back! It comes with 3D rings that could be attached or clipped on to luggage and the like and could easily fit on any airline’s overhead storage. It’s also solidly built with solid spruce top, mahogany body and neck, and a rosewood fingerboard that is binded well by washburn’s professionals. This guitar comes with great quality materials, with its 800XL strings. This guitar is perfect for any person that is driven by music, or a musician/composer who constantly finds inspiration around. Conveniently bring music with you anywhere you go, may it be camping or simply an impromptu jamming session with friends, you’ll always be ready! The guitar is at your beck and call if it’s always with you. Not only do you get to play music whenever you want to, you can also share it with others if you happen to be in the mood to do so. The washburn acoustic guitar RO10 is approximately 24 inches long with a nut width of 43 mm that has a total of 19 frets. The guitar itself weighs around 2.5 lbs, while the case is 4.65 lbs. 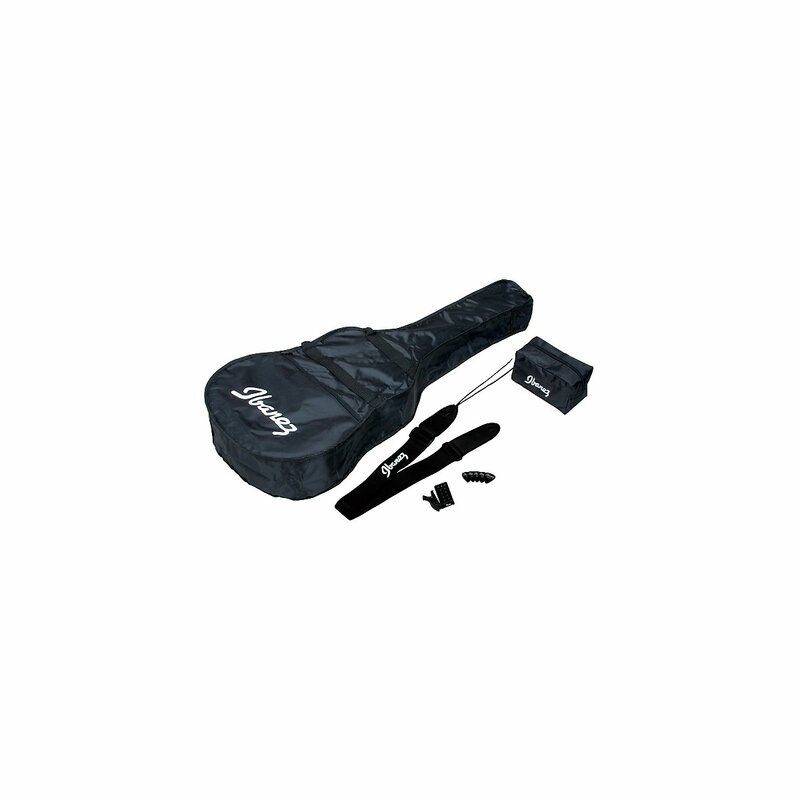 It has an adjustable truss rod and is also very space saving with its internal and external storage pockets. Before we proceed with this guitar’s pros and cons, let’s begin by leveling expectations. 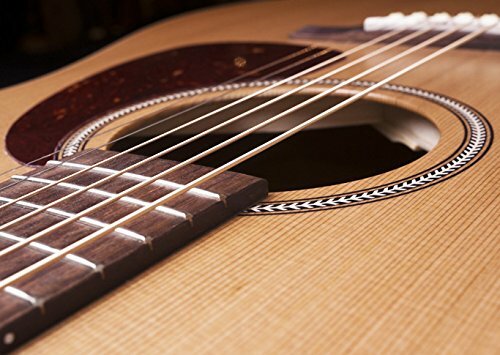 As any guitar and musical instrument would be, size greatly affects a guitar’s sound and this is one factor that different people may have different preferences on. What may be a pro to some may be a con for others and vice versa. Read carefully, because after careful assessment, this might actually be what you’re looking for! 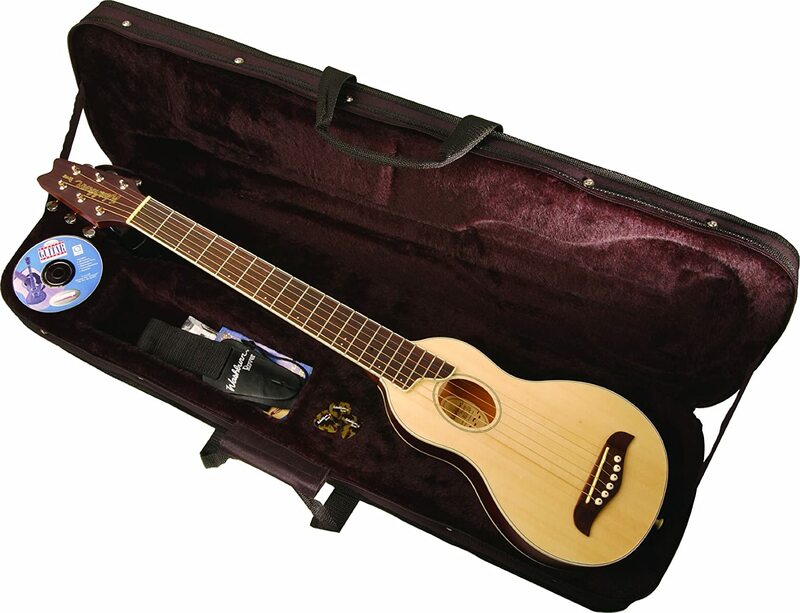 To reiterate, the Washburn RO10 is undeniably one of the best travel-sized acoustic guitars in the market. It’s the guitar’s main selling point and it’s what it is marketed for. This guitar is also made by an established guitar brand, Washburn. The materials used are superior, and the makers really made sure that this guitar’s small size does not equate to lower quality. This guitar sounds great! It doesn’t sound as loud as full-sized guitars, but its materials and design definitely makes a mellow soothing sound that’s surprisingly full enough, considering its size. Despite its small size, it still comes with 19 frets. This guitar is small, so definitely don’t make the mistake of expecting a full-sound guitar that would go well with accompaniments for public performances on its own. This is not entirely a disadvantage, but it’s worth noting. The action on this guitar is not the best to, but this is something that is adjustable, so you may expect that once you get this. This is durably built for travelling, but do expect that it wouldn’t always be in a pristine condition, especially if used to often, due to the fact that it could easily be brought anywhere. No problems were found on performance over time, but dents and some aesthetic blemishes definitely appear after some time. Wouldn’t that simply be a sign of a well-loved guitar? If you’re looking for a travel guitar that’s definitely portable, there’s no question to this washburn acoustic guitar being the best in the market. However, if you have other priorities in mind, such as sound and comfort in handling, it might be worth giving this second thought and checking on more reviews. I got my Jasmine about six months ago, when I decided to learn playing the guitar. At first, I didn’t exactly want to take this seriously. I just wanted a guitar so I could practice and learn by myself. I was set on testing the waters first and see if this is really something that I want to master. However, I would say that your first guitar would really have a great impact on your motivation to pursue the craft or not. I realized how lucky I am to have purchased this guitar exactly, and have friends who were already playing the guitar for some time. It was, I would dare say, the perfect choice for starting guitar playing. My friends recommended for me to change the strings the moment I purchased it, and so they helped me changed it. Voila! I have a really good-sounding guitar on my hand. It mattered a lot! It matters to hear sounds that are always music to the ears, no matter how out-of-tune or a big newbie I was on guitar playing before. I would say that I’m still a newbie, but I certainly learned faster and guitar playing took a bigger place in my heart mostly because I was lucky to have purchased something so good for a great deal. 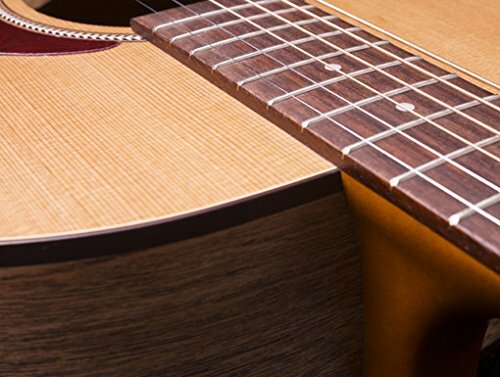 This Jasmine S34C NEX Acoustic boasts of an advanced bracing system like no other. 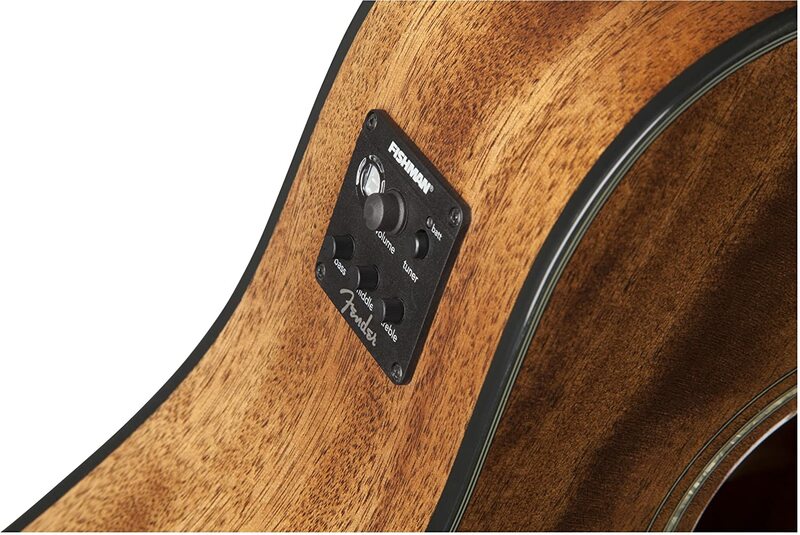 It is because is bracing system is shifted forward, closer to the sound hole. This is said to help produce a more vibrant and open sound with improved note details and definition. It has a scalloped design that makes it lighter weight-wise and allows the top of the guitar to vibrate more freely, which results in really good quality sound. 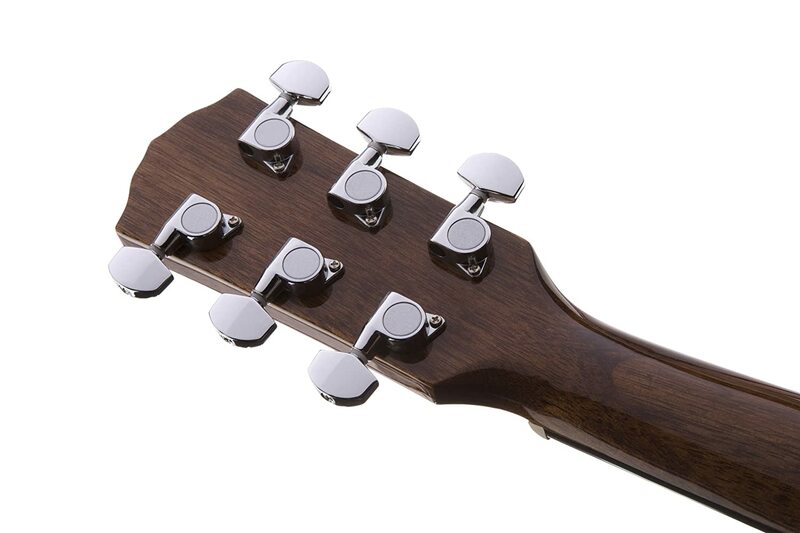 Sounds are well balanced and notes are thoroughly separated especially by the solid rosewood plate on the bridge. This guitar features a natural gloss, whose texture is leaning more towards matte. 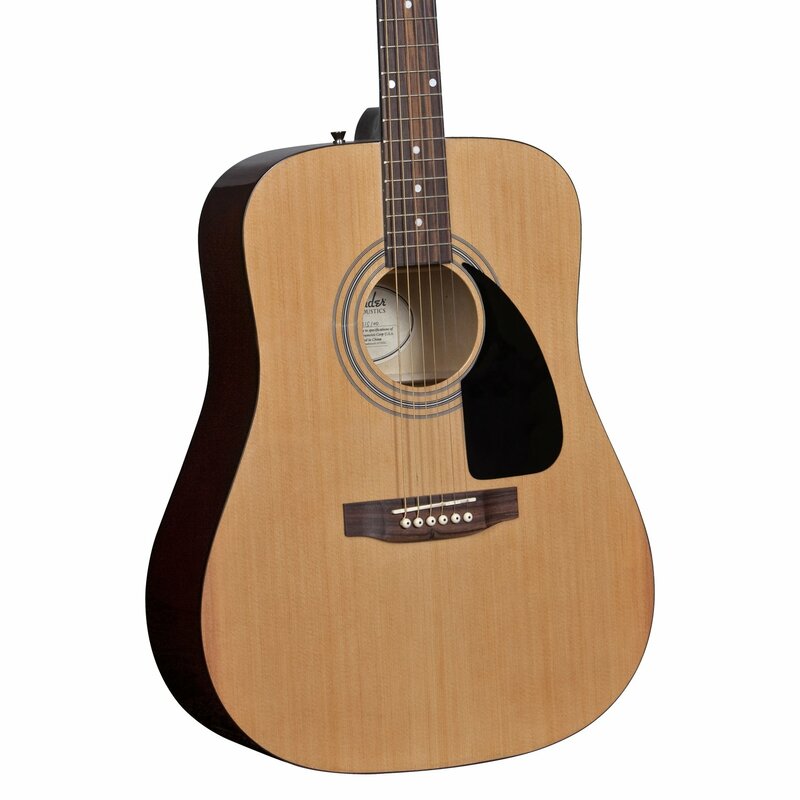 It has two options for the body (depending on weight and sound preferences) which is dreadnought and cutaway design. The cutaway is unbelievably lighter, while the sound on the dreadnought is more solid (although it comes with more weight). It is covered by a laminated spruce top with a rosewood fingerboard and sapele back and sides. As said, it also comes with an advanced “X” bracing design. It weighs a total of 5.9lbs with measurements of 18 x 8 x 48 inches. S34-C is a very stylish orchestra-style guitar that is built to create rich and balanced sounds, all packed in a stylish cutaway style guitar for a great value. he smooth satin finish is said to maximize resonance for the best sound quality possible. Full binding could also be found on this guitar, complete with chrome tuners, synthetic bone nut and saddle, and a slim neck. I hope I don’t get across people here as someone so stingy, but the biggest pro of all for me, is the value that you get for your money. This guitar is a really good buy for its price. The sound is surprisingly to exceed your expectations, given its price. It also looks nice. I am oddly appalled to glossy surfaces, and this guitar’s matte surface is simply a breath of fresh air. It looks nice and even feels nice. 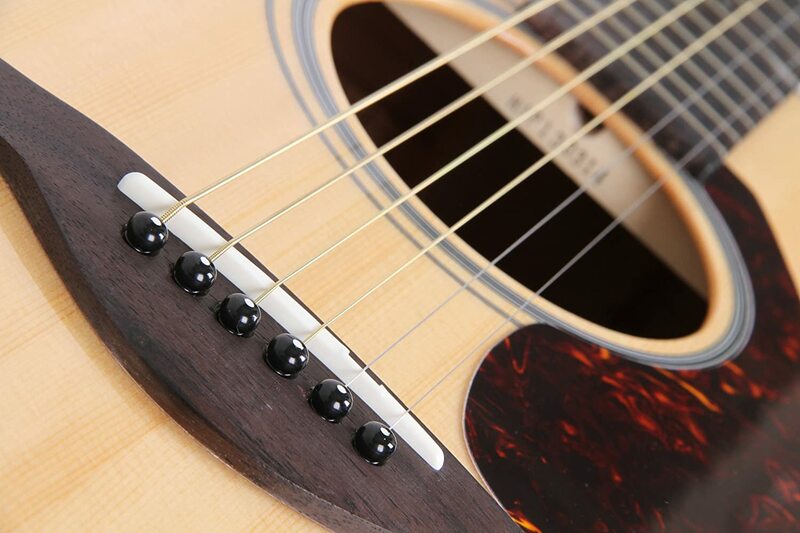 You can choose between the dreadnought and cutaway body, depending on your weight and sound preferences. The lighter one has a really good sound quality, but creates much softer tones than the slightly heavier dreadnought. The size is also perfect, it so far allows me to reach higher frets with much ease. The intonation is pretty okay too. Honestly, given the price and the sound quality of this guitar, you can’t possibly go wrong. Most people purchase this guitar for being a “crash” guitar. A guitar with less value, something you can bump and drop on surfaces without feeling bad on how careless you are for something so expensive. And I would say that it would still work even if it was your primary guitar in use! Most people would agree with me, when I say that whenever you purchase a relatively low-price guitar, invest on a good set of strings. Aside from the strings, I think the guitar is overall really good. Given the surprisingly awesome sound quality that it gives off for its price, adding a good set of strings to the expenses still won’t cause as much as a high-end guitar. 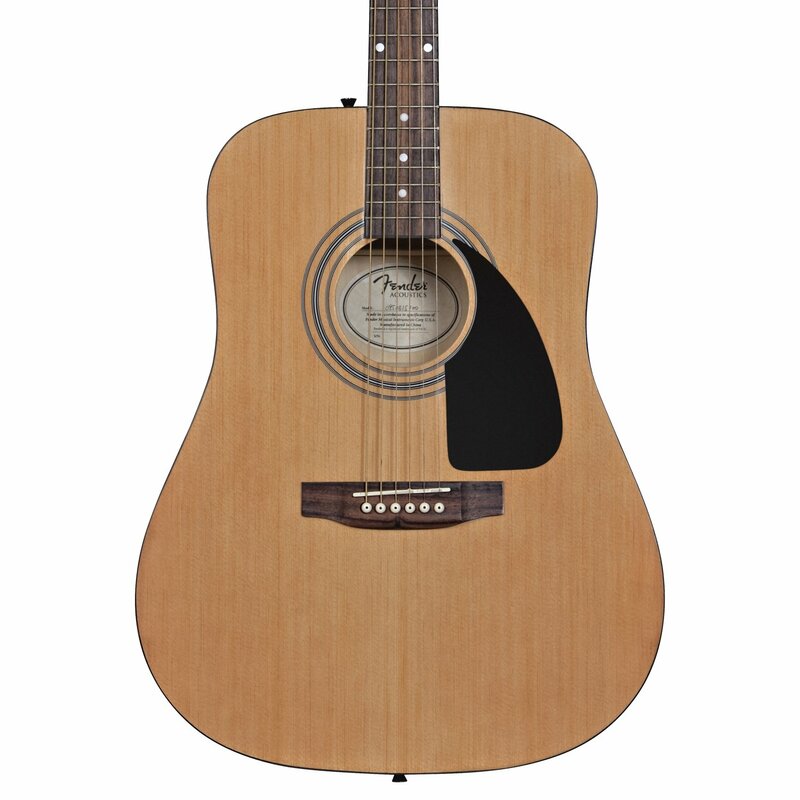 One of the strongest points for this Ibanez acoustic guitar is that it’s really affordable. It’s a really good guitar especially for beginners. But some experienced ones would have different preferences. I first got my hands on my Ibanez acoustic guitar two years ago. I paid half of it from my savings, and my parents paid for the other half. It was that year that I decided to start learning guitar playing, but I really didn’t want to spend a good amount on it yet because for one, I didn’t even know yet if I could play and secondly, I actually can’t afford a higher-end guitar even if I wanted to. I still remember how shocked my best friend, a lead guitarist in a band, at how pleasant this sounded compared to other beginner guitars on a higher price range. It was from this same friend that I learned how to play the guitar, and I would say, I think having this guitar helped me learn well. This guitar of mine is still working well until now, two years later, and I just wanted to share my thoughts on it after using it for two years. This guitar really performs great for its value. It’s an excellent guitar most especially for beginners (I really have to emphasize this point again, sorry for that). It has a laminated top with a body made from Agathis and the neck of rosewood. The finish looks good, I would say, with a natural finish in front and a darker mahogany color at the back. The package comes with a bag, a tuner, strap, accessory pouch, a set of medium picks, and some replacement parts. It weighs 8.6 lbsat 37 x 3 x 14in. What I like most about this guitar is its affordability. This really offers great value for money. Some may be disappointed with the laminated finish and some cheap accessories, like the tuner, but those are minor considerations. This might not be the best if you’re a pro with specific preferences, but beginners hit the jackpot with this one! I did! With a dreadnought size, this guitar could play real loud. 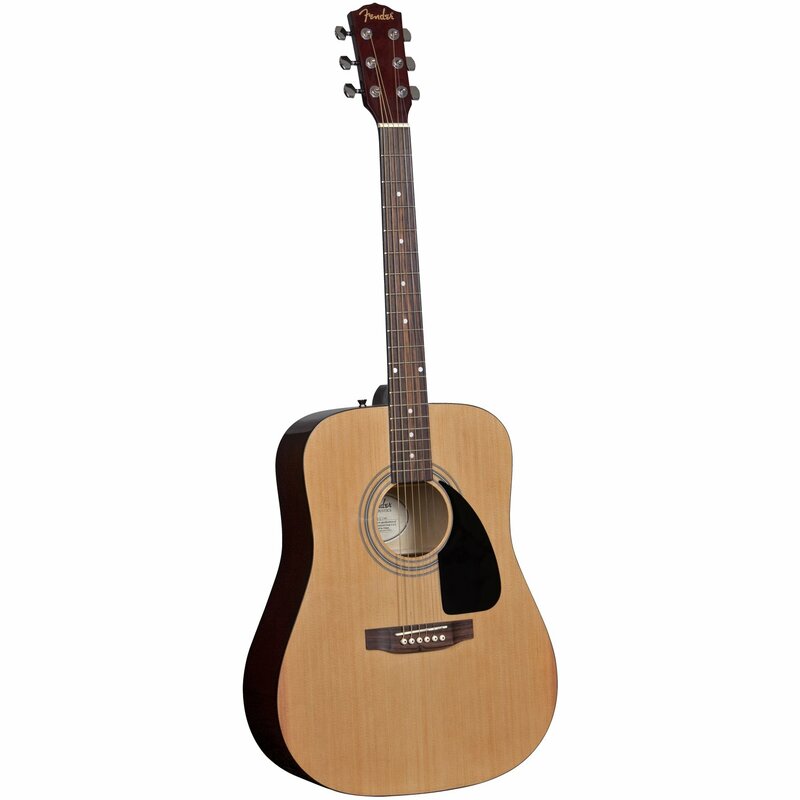 It’s also perfect for playing rock songs or other band genres that go well with a strong acoustic sound. I like that the most about this guitar, because this is certainly my jam. I enjoy singing classic songs from Beegees or making my own composition. The guitar is also really durable and reliable, I still have it with me now. I would say that the build is really good. It won’t budge easily but of course, if you drop it a couple of times mindlessly on the floor or rough and hard surfaces, some parts may be scratched. Really tough build, but extra care won’t hurt since parts are made of laminates and not solid wood. I like how electric guitars sound, but this is seriously a good alternative for when I just like to play guitar without the fuss of plugging electric wires. I didn’t like the strings that come with it, honestly. I used it for a good 3 mos but figured that I’d try another set and see if it would sound better, and it did! So if you’re planning to buy this guitar, make sure to check how it sounds and see for yourself if the strings fit your jam. Also, it might be a con for other people, but it doesn’t really bother me. If you’re looking for more versatile sounds, I would say this isn’t the best guitar for you. Most sounds are on the strong sides and aren’t the most flexible in terms of sound range and resonance. This guitar also has high action, but I got used to it. Lastly, two years ago, when I bought this, the tuner really was bad. I replaced it right away. I’m not sure if they improved it now, so it’s worth checking and preparing for. When it was already replaced, I loved it all the way. I still use the guitar until now. But in conclusion these are all very minor and amenable. I would really say that this guitar is one of the best purchases I’ve ever made. Really great value for the money I paid. a quite famous acoustic guitar brand? To many people, this has been the beginner’s guitar of choice – and even to some professional or amateur guitarists, this affordable (almost cheap) but reliable decades-lasting guitar makes an excellent travel guitar. Yamaha is a Japanese company, and their FG series is manufactured in China – politics aside, the results are great. Chinese-built guitars are usual for entry-level guitars, but they’re usually known to last maybe four to five years, with quality ranging from pretty damn great to mediocre at best. The FG700S belongs in the former range, with great sound quality, and a construction that has made it last decades in the hands of some of my friends. I didn’t start with a Yamaha, neither have I owned one for very long, but I have had experience playing some of them from my friends – and there’s a reason Yamaha boasts that the FG has been their best-selling series since it was introduced in the 60s. So let’s take a look at what’s been keeping it a success for the past half-century! As with most beginner guitars, the Yamaha sports a killer price. There are guitars which are very cheap, just under 500 or under 300, but chances are you can get yourself a new FG700S for even a cheaper price somewhere on the internet. But pricing isn’t what were here to discuss – it’s what the guitar really is that matters. You’ll have to play it yourself to believe it, but the Yamaha FG700S sports great bright highs and heavy lows, a pleasant strum, and a composition of the regular rosewood for its fretboard (fingerboard), solid spruce wood for its top, and Chinese Nato wood for the sides and back. 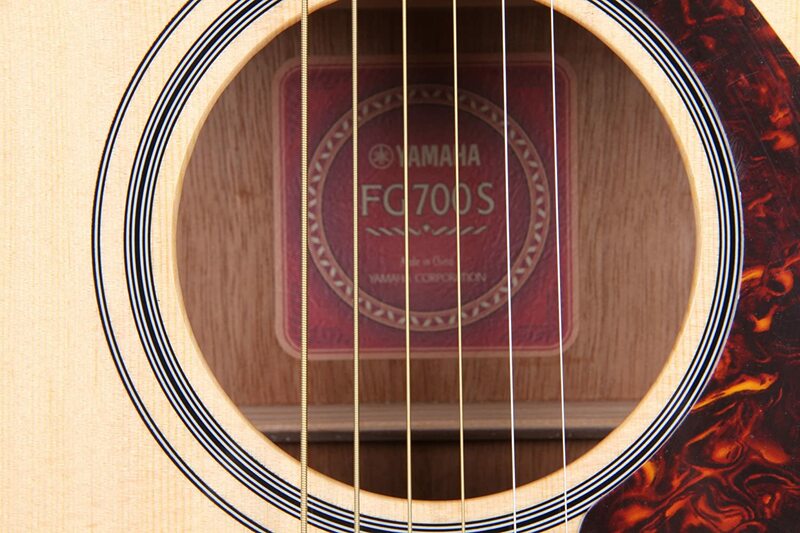 With a large body, a great price, high-quality strings and decent diecast chrome tuners, the Yamaha FG700S has the primary benefit of producing a powerful, great sound. It’s pretty damn versatile as such – and that just helps so much more in cementing it as a great gift for beginner guitarists. It’s also famed for being a comfortable guitar – not too heavy, not too big, but not too light or little either. I found it feeling great when playing, and I’d recommend it as both a beginner instrument and as a travel guitar, for when you just want to play a bit while on the road. about this model Yamaha FG700S - it's quite honest I think. Sturdy, affordable and versatile – it’s a beginner’s guitar, and a great one at that. It’s got great sound for a guitar at its price point, and an amazing longevity at that. It’s not tough to hold or play, and feels just right in the hands of most guitarists – myself included. One significant mention is the guitar’s fairly high action. It’s not high enough to warrant not considering it a great option, but it is something you should be aware of. Being a beginner’s guitar, it’s lacking in the quality someone with more experience might want. While versatile, it scratches the surface of what guitars can do. It’s a standalone guitar, so you’ll have to buy yourself a case, stand, tuner, picks, extra strings and cleaning tools in the very least. If you’re a beginner and you’re looking for a great guitar on a budget of under $300, then this is probably one of the best choices you can make. However pushing your budget up to $500 opens other, much better options, so it’s a matter of price and of just how committed you’ll be to playing. It makes sense to grab an affordable guitar when you’re not sure of whether or not you’ll stick to regular playing and practicing. 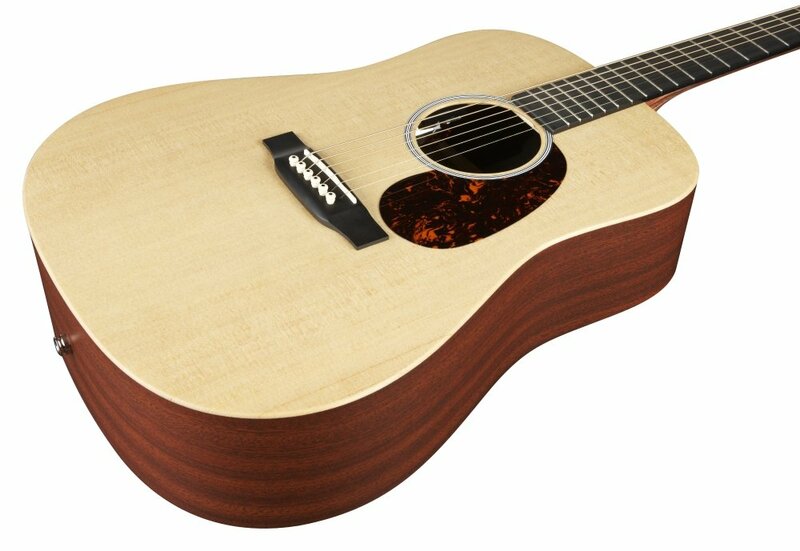 Looking for a ridiculously affordable dreadnought by famous guitar makers Fender? I wasn’t, but I’m glad I found one – quality guitars at low prices are incredibly hard to come by, and even less so when they’re put on offer by a quality guitars at low prices. This Squier is a beginner’s acoustic guitar, however, so a connoisseur might not be impressed with this model – but for what it’s worth, it’s a great example of what to look for when you’re first starting out, and here’s why. Fender Squier Guitar is one of the best guitar beginners could aquire themselves with average budget. Practicing could both be easy and quality-solid with this piece of instrument." The Fender Squier Acoustic Guitar pack is meant for a single thing: being a beginner guitarist’s best friend. It’s got pretty much everything you could want. 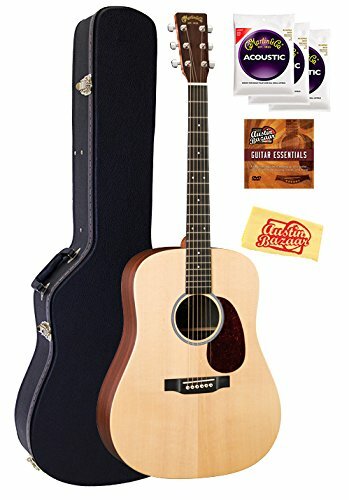 The guitar itself has a large dreadnought body, strap, book, bag, pick, a tuner, and a pitch pipe (which is strange, since a tuner is already included). A dreadnought guitar is built for size and sound, which is why the name sounds so intimidating – it’s a reference to a type of warship, but that doesn’t mean this thing only cranks out violently loud music. It’s great for folk or soul, and for simple open-position chords, the type you’d usually begin with when first playing the guitar. Although it doesn’t come with a case, the dreadnought-style body is a common one so you shouldn’t have a problem finding one. In terms of longevity, my cousin got this guitar back in 2010, and it’s still in good condition – mind you, he does take good care of his instruments. ​Other than that, the only note I’d like to make towards this guitar is that, despite it coming with a gig bag, don’t expect to use this as a professional. 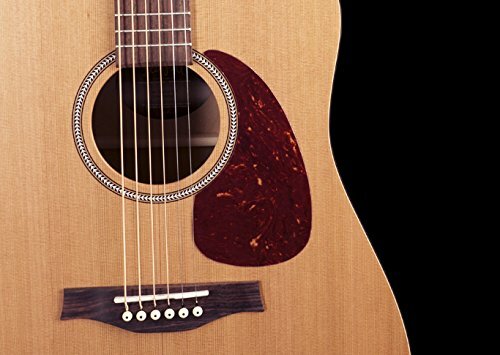 ​Even if you change the strap and the strings, this is still a beginner’s guitar, meant to be comfortable and high-quality, yet not on-par with a career guitar. It does have a comfortable feel to it, and for a beginner, you’d be hard pressed to find a better deal in terms of value and quality. The guitar is great for beginners, large and loud and available at a great price. 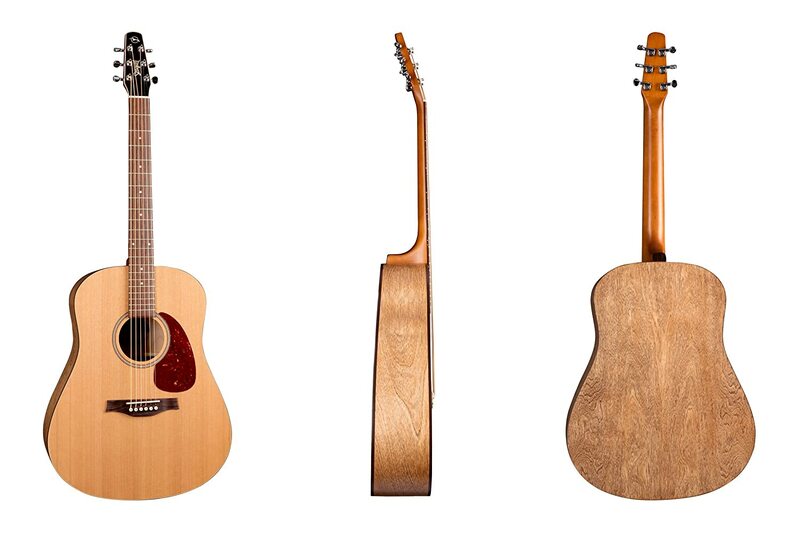 It’s got decent action, a nice tone, and is built with a spruce top and a laminated agathis back. Watch this video below to enjoy beautiful voice by Squier Fender. 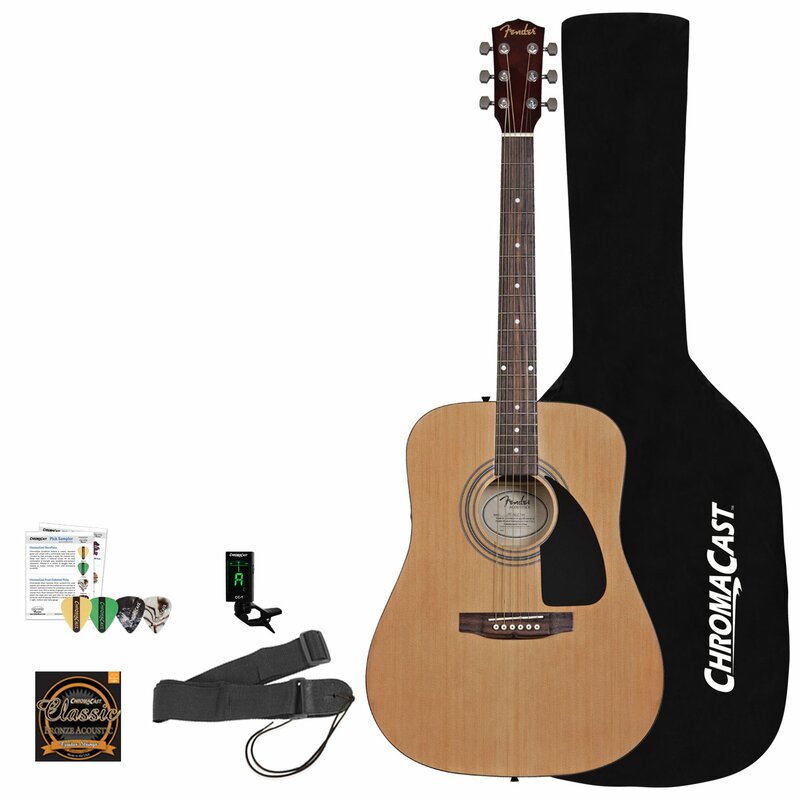 It comes with a long list of accessories – specifically a strap, a bag, a lessons book, a tuner, guitar picks and a pitch pipe. Fender is a large company – this means getting replacement parts or otherwise contacting and going through customer service due to missing parts of the set or other issues may leave you with little hope for resolution. It can be tough to tune, and comes with low-quality factory stock strings. The lessons included with the set are somewhat lackluster. The bag is also practically useless – you’ll want to buy a separate dreadnought gig case if you plan to go somewhere. This guitar is a beginner’s set – it’ll do well for a starter, but it falls very quickly short of anything serious. The extras are mostly negligible, but they’re still a significant factor, in particular the tuner and picks. The straps and strings are best changed out, and you’ll want a different bag as well. The guitar’s action – meaning, the distance between the strings and the fingerboard/fretboard – isn’t too high, so you won’t have to worry too much about hurting your fingers while playing. 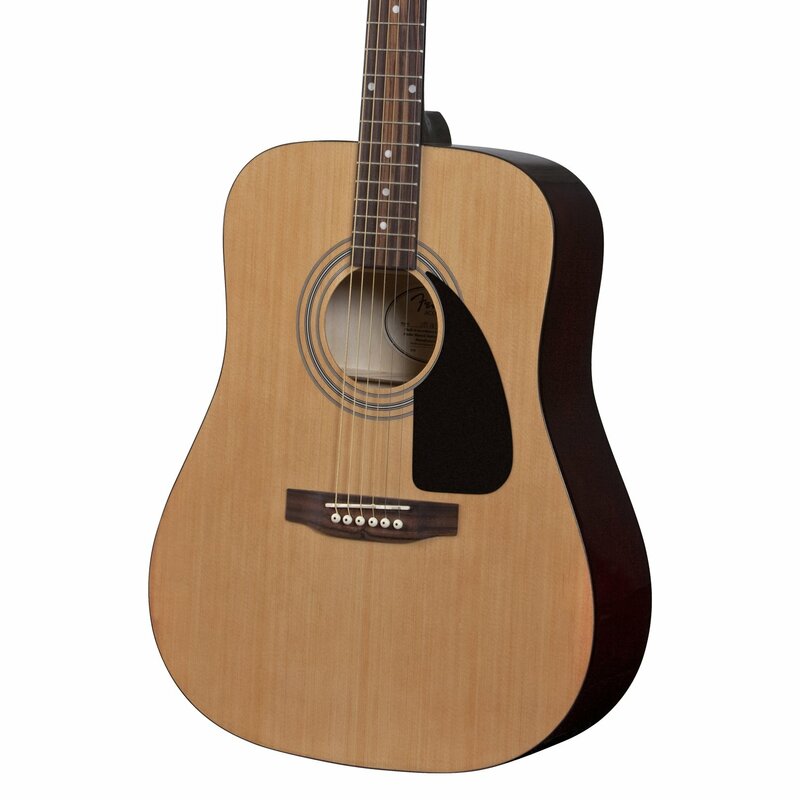 Squier is Fender’s brand name for beginner’s electric guitars, but this one’s a Fender Squier Acoustic Guitar made of spruce and agathis, and features a hollow body. It’s very affordable as guitars go, and you get what you paid for – and a little more in the form of a warm, bright tune. If you know someone interested in playing the guitar, but also know that they’ve never done it, then this would be an excellent choice.